You may have heard about green funerals but what does that mean? Is it possible to be buried on your own land, on your own terms, and must you be embalmed? More and more green funeral options are becoming available in today’s world. So, in most cases, you can. You can have a green home funeral, purchase or make any type of container you wish, and refuse embalming. But before we get into the details, let’s take a look at how traditional preparation and funeral burials are hard on the environment. According to Joshua Slocum and Lisa Carlson in their book, Final Rights: Reclaiming the American Way of Death, Hudson Samson, former President of the National Funeral Directors Association, addressed a group of like-minded individuals in 1886 for their fifth annual convention. In his talk he remarked upon how lawyers, physicians, engineers and other professionals had their own associations to protect their interests. Today there are so many laws controlling the business of undertaking—even dictating how long an embalming room should be in feet—that the old fashioned method of families taking care of their dead themselves has not only gone out of favor, but people believe they have no other options. And the funeral industry has the deck stacked in their favor. They have an audience that comes to them in grief, at a time of vulnerability, when high-pressured sales, fake fawning and just the right verbiage makes a family feel they must have sitting rooms for viewing and Cadillacs to take them to an expensive plot, where they can sink a supposedly “leak-proof” mahogany casket lined with satin and covered with flowers in order to do justice to the memory of their loved ones. Historically, the Egyptians embalmed their pharaohs. All royalty aside, embalming is not legally required for most deaths – only if there is a delay in putting the body to rest, but even then, refrigeration is an option. This “life-like” cosmetic manipulation of embalming and cosmetology can be done away with entirely. Many European, Asian and African countries do not routinely embalm people. It’s mostly done in the US and Canada. And contrary to conventional wisdom, a dead body does not generally present a risk to the community’s health. In fact, the main risk it presents is to the person doing the embalming. The main chemical used, formaldehyde, is highly toxic and a respiratory irritant. Not to mention, but embalmers are also exposing themselves to fluid-borne pathogens. That is why they “suit up” by wearing goggles, rubber boots, a chemical-resistant apron, PVC gloves and respiratory equipment. Embalming is an environmental calamity, the result of which is more than 120 gallons of untreated waste going directly into the sink and consequently into the sewer. Or a funeral home can haul it off site or apply for an underground injection permit. 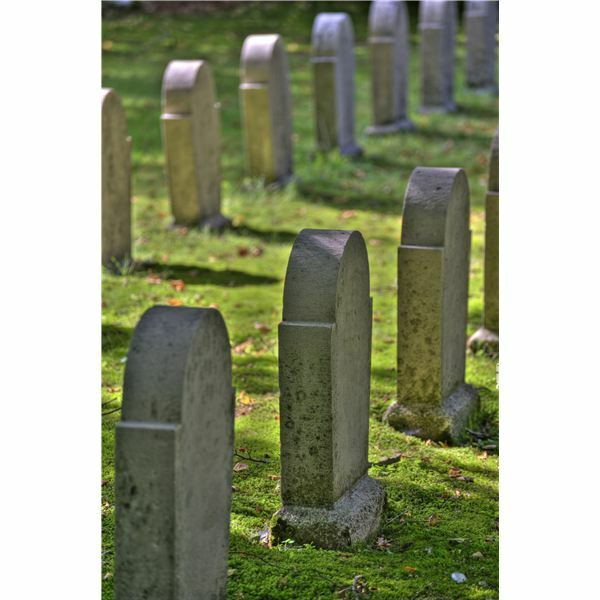 The EPA has found that funeral waste water contains human wash water consisting of internal body fluids as well as highly toxic chemicals in addition to formaldehyde – such as phenol, an extremely poisonous compound, and methanol. Cremation is a method that burns a body in a furnace until there is nothing left but bone fragments, which are crushed down to rough ash. The actual furnace chamber—called a retort—has a casket or cardboard box placed inside and the temperature reaches about 1800 degrees Fahrenheit (982 degrees Celsius). After approximately 2 to 2.5 hours the finished burning has used about 2,000 cubic feet of natural gas or propane or as much carbon dioxide—a greenhouse gas—as a home produces in six days, including 4 kilowatt hours of electricity. Formaldehyde is also a by-product of cremation, can last up to 250 hours in good weather, and, if any embalming had been done previously, the remaining ashes are also slightly toxic. And the other emissions during the process are major ones: the “oxides”, nitrogen oxide, carbon monoxide, sulfur dioxide, plus hydrogen chloride and heavy metals such as mercury. Coffin production has become a highly commercial business. A funeral director will show the bereaved three different caskets, at three different prices from low to high. People in their sorrow do not want to be made to feel that they are putting grandma in the cheap casket and consequently choose the middle-priced model, which may cost $2,500 – the most popular representative standard. Once the box is selected, there may be a suggestion for a “protective” casket, meaning one that does not leak, or has some type of gasket or rubber seal for protection. The truth is nothing is going to keep a body dry, or free from air. And you wouldn’t want this anyway as bodies in decomposition develop gas as a normal part of the process. If it is too tightly encased, a casket has been known to explode. Do we want tons of metal, concrete, treated woods and polyurethane decorations taking up land that is littered with marble and concrete headstones? A green burial means the body is not embalmed. No costly funeral services, caskets or other accouterments need be provided. 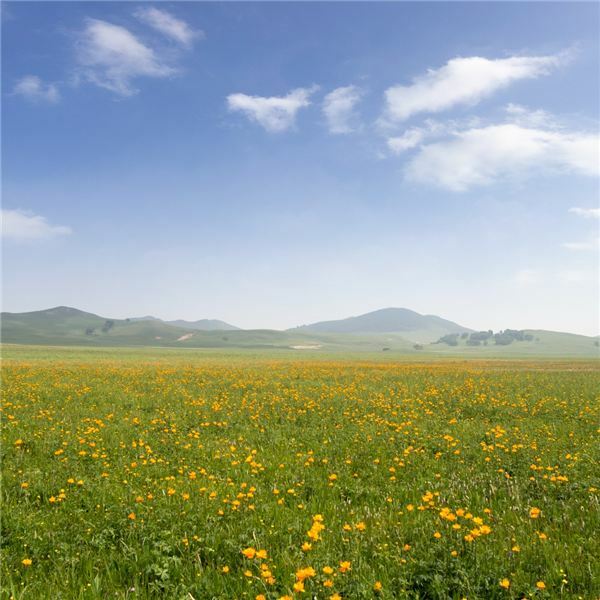 A green burial allows the body to decompose naturally and affects the environment is a small way. An environmental, family-friendly home funeral allows the close relatives to decide if they want to prepare the body themselves, enclose them in a shroud, a wicker or even woolen basket or biodegradable product and plant them in a woodland burial site—so popular now in the United Kingdom. For example at Clandon Wood, in the Surry Hills in England, the dead are placed into a nature reserve. It is a woodland setting with 48 species of flowers and grasses and is home to thousands of insects, reptiles, birds and mammals. To look at it, you would think it was just a slice of natural topography such as a bio-diverse meadow. While you may not have the resources for a plan such as the British model, there are three places to begin. The first is to find out the consumer rights for the state in which you live – you can do so at FuneralEthics.org. Next, it is suggested you take a trip to the Home Funeral Directory and begin reading to see how others have done it. And for the more complete, inexpensive and inspirational guidelines print out the PDF Undertaken With Love, an all-encompassing guide book that has stories about home viewing, ideas on using non-commercial ingenuity and community enterprise, tips on giving meaning to the deceased person’s life; plus readings and ideas on how to reclaim the past by doing it on your own terms on family land—without retail or spoiling the environment. Based on historical tradition, a willing family may find it challenging, but entirely meaningful. Slocum, Joshua and Lisa Carlson. Final Rights: Reclaiming the American Way of Death. Upper Access, Inc. Hinesburg, Vermont, 2011. Mitford, Jessica. The American Way of Death, Buccaneer Books, 1963.